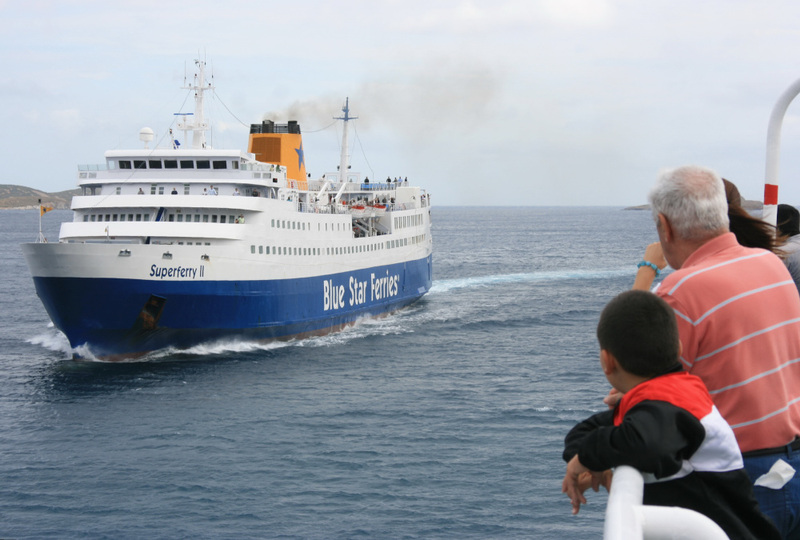 After the recent cull of Southern Europe’s elderly ferry fleet, which ships will be next? There remain plenty of veterans out there, and the list below is a bit of idle speculation. Quite a few vessels are now laid up mainly because they have recently finished seasonal service rather than anything more sinister. 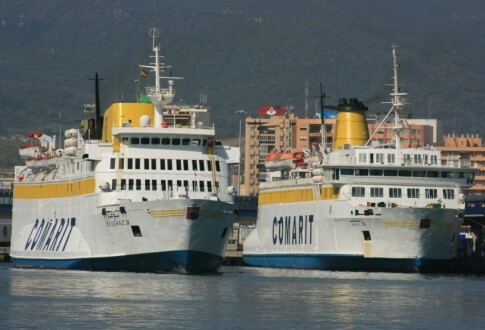 A couple, like the little Don Peppino in the Bay of Naples (ex-MalmÃ¸, 1964) and Jadrolinija’s Porozina (ex-Esefjord, 1971) have seen service this year after previous bouts of inactivity left them looking doomed, so nothing is certain. 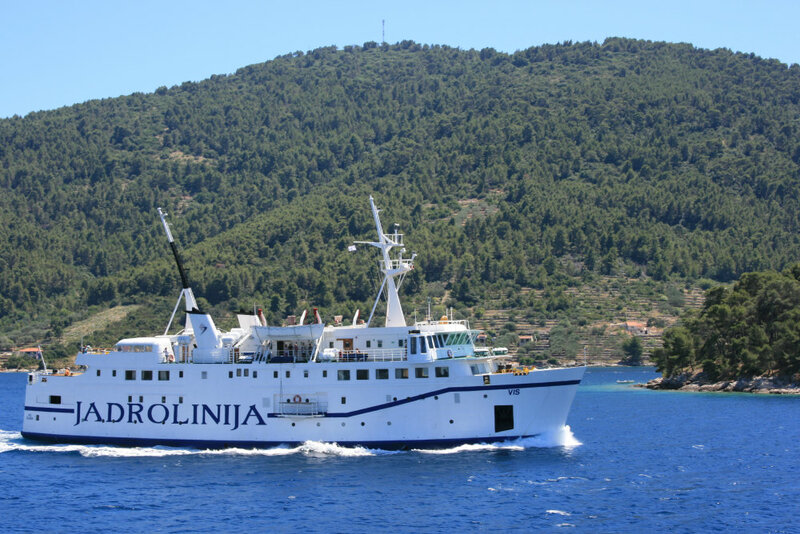 Particularly for the Croatian ships, domestic service under local, less strict, safety rules might be a solution once a vessel can no longer be used on international services – this may prove a valuable factor for Jadrolinija’s little Liburnija. Sadly however, it is likely that several of the ships listed below may be gone within the next twelve months. 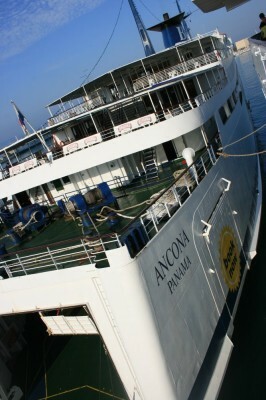 The Ancona and Split 1700 at Split. 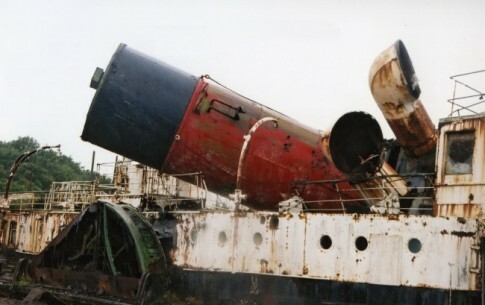 Two ships which have been sold for scrap since the original instalment are the Ancona and the Split 1700. Between them they helped to make Blue Line the dominant operator from Split to Ancona, in the process seeing off the Italian state operator Adriatica whilst the Croatian equivalent, Jadrolinija, operating their Dubrovnik, are outclassed. 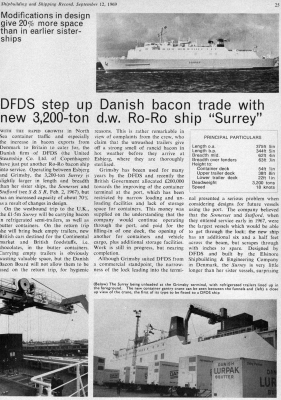 However it was always clear that 2010 would be the end for the 1966-built pair – indeed, the Split 1700 had been laid up throughout the Summer since the company acquired better and larger tonnage. The only question was whether anyone would be able to preserve the Ancona but, perhaps not surprisingly, the answer was no and the pair have been sold to Indian breakers. Boughaz and Banasa at Algeciras. 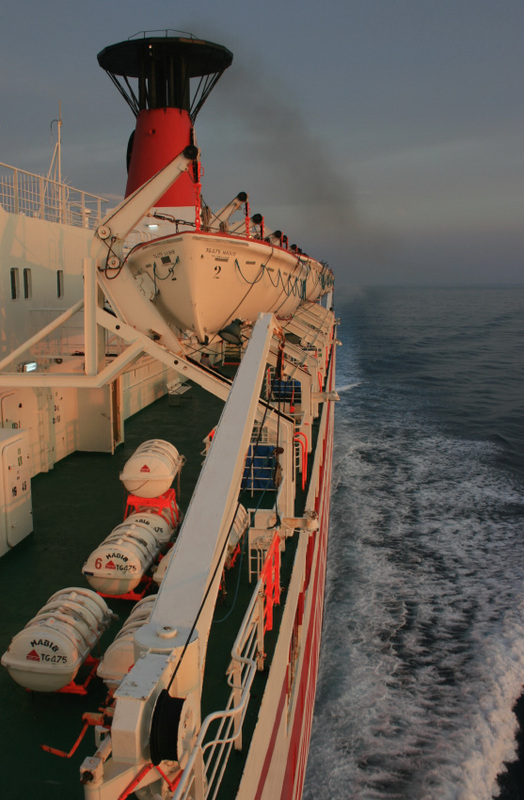 Starting in the West, on the routes to Morocco the situation is fairly critical in terms purely of age with a whole host of ships nearing or over 30 years in age – the Al Mansour (ex-Stena Nordica, Reine Astrid), Atlas (ex-Gelting Syd), Banasa (ex-Mette Mols), Berkane (ex-Napoleon), Biladi (ex-LibertÃ©), Bni Nsar (ex-Ferry Akashi, Dame M), Boughaz (ex-Viking 5), Ibn Batouta (ex-St Christopher), Le Rif (ex-Galloway Princess), Mistral Express (ex-Esterel) and Wisteria (ex-Prinses Beatrix, Duc de Normandie). 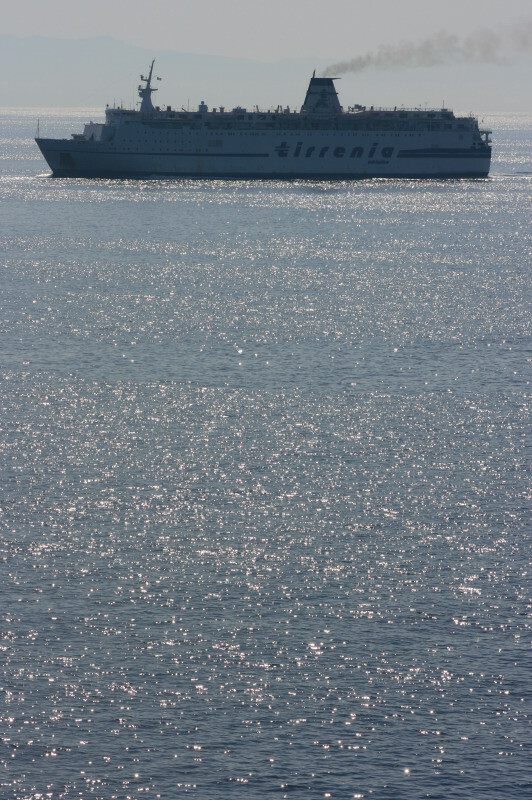 TransEuropa Ferries’ Eurovoyager is also presently in the area. Quite what to expect here is difficult to say – other than the Eurovoyager most of the above named are in regular service. There have been a couple of casualties from the area in 2010 already in the Sara 1 and Euroferrys Atlantica but with a reportedly disappointing Summer perhaps there is scope for some further cutbacks. 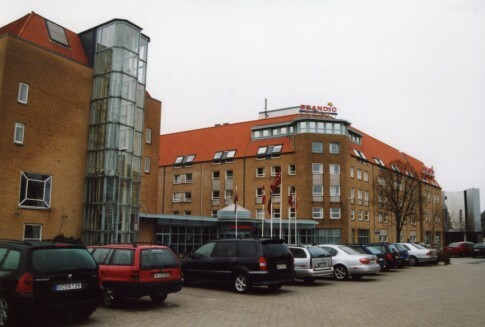 The most likely vessel perhaps, other than the Eurovoyager, might be the oldest – COMANAV’s Bni Nsar has created a notably negative public reputation but has, however, remained in service beyond 30 September. 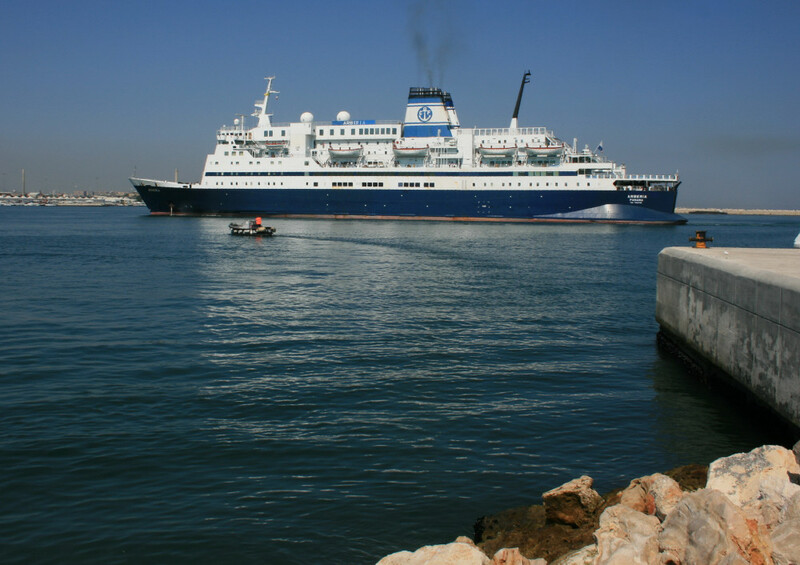 Tunisia’s 1970s ship of state, the Habib, is a lovely 1970s veteran – sort of an Africanised, originally two-class-version of TT Lines’ Peter Pan and Nils Holgersson of 1974/75. With the new Hanibal due for delivery in 2012, if the Habib is compliant with the safety requirements of the so-called ‘Stockholm Agreement’ one would expect her to return for one final fling in 2011 – but crew members were adamant 2010 was her final season when we sailed on the ship in June. 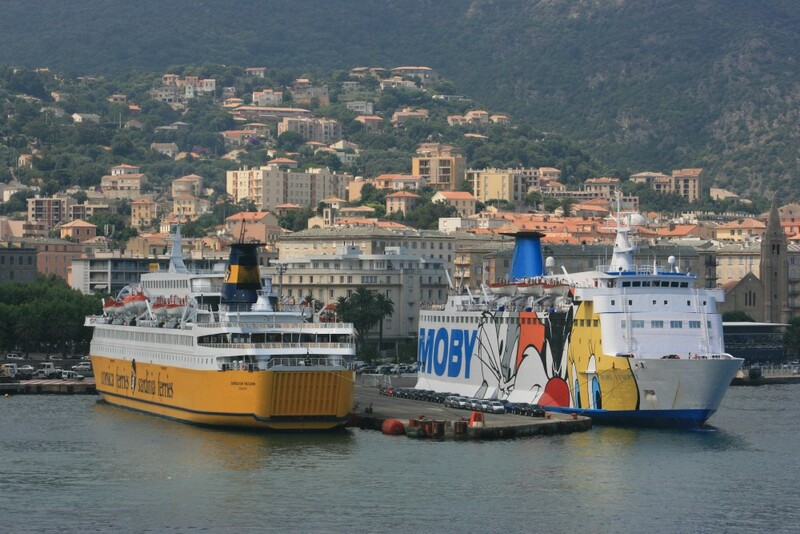 Sardinia Regina and Moby Vincent at Bastia. Both Sardinia Ferries and Moby on their longer passenger routes have a collection of 1970s-built ships matched with vessels from the past decade – and not too much in between. Moby’s Drea, Otta, Vincent, Fantasy and Corse are all vital parts of the network and one cannot imagine them being replaced in the near future – the Fantasy continually punches above her weight on the Olbia-Civitavecchia route and is perhaps the weakest of the classic ferries. The Moby Vincent (ex-Stena Normandica, St Brendan) is the oldest but both Moby and their yellow-hulled rivals seem content to each employ one of these Rickmers-built ferries as their regular ships on the Livorno-Bastia route. If one or other was replaced with something new I can imagine the rival operator would respond pretty quickly – but who will blink first? 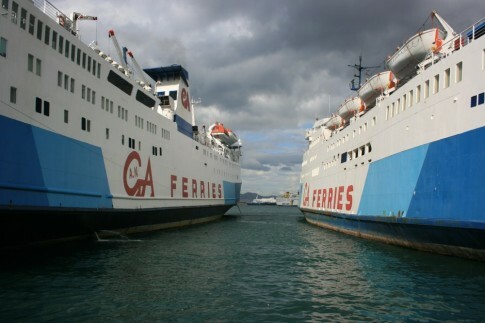 Both Moby and Corsica Ferries have been able to add capacity seemingly at will in recent years, and the latter’s elderly ladies seem equally secure – for now. The Sardinia Vera and sister Corsica Marina Seconda, the Sardinia Regina and sister Corsica Victoria plus the Corsica Serena Seconda all appear in the Summer 2011 timetables. The Moby Baby at Portoferraio. Moby’s five Babies on the Elban routes have an average age of 37 years and recently the company made statements about ordering six new ships to replace them, together with the Bastia on the Santa Teresa-Bonifacio run. Nothing firm has happened on that front yet – so these classics look set to continue for some time to come. The 1966-built Moby Baby (ex-Svea Drott, Earl Godwin) is the now surely the oldest ship operating for anything like a mainstream multi-route operator in the EU (save maybe for Balearia’s Arlequin Rojo) but the even smaller Moby Ale (ex-Mikkel Mols, 1969) would seem likely to be the first to go if Moby were to have a cull. For now that doesn’t seem likely as all five ships are hard-pressed on the busy Summer Saturdays. 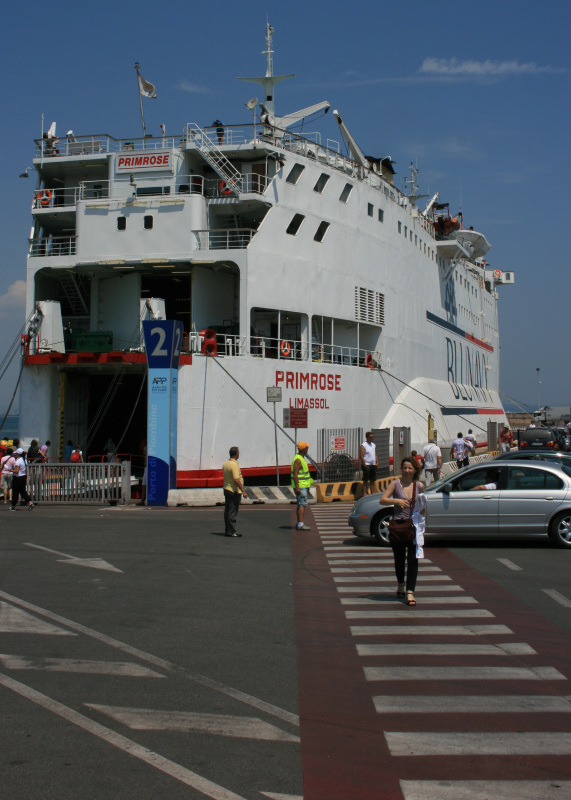 Upstarts Blunavy made an entry onto the Piombino-Portoferraio route in 2010 and, after an apparently relatively successful season, claim they are looking for a different ship to the Primrose (ex-Princesse Marie Christine). Something with a better air conditioning system might be a good idea. The sweaty, beaten-up old Primrose has to be high on the list of likely ships to head straight for scrap from here. The Don Peppino at Pozzuoli. One elderly ex-Moby ship which has thus far evaded the scrappers is the Don Peppino of Gestur. Originally the MalmÃ¸ of 1964, she spent 24 years with Moby as the Citta di Piombino but was subsequently laid up for a period in Naples. Reactivated in 2008 she is a sweet little thing but can’t have too many years left now. 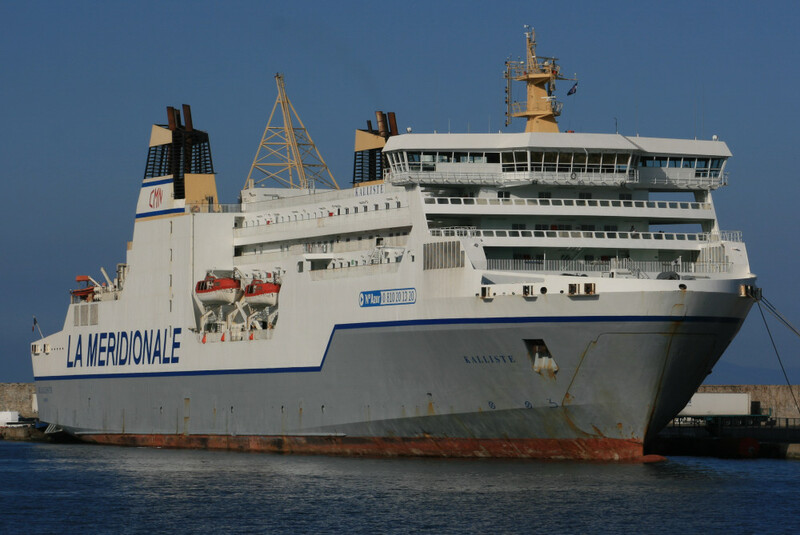 There remain several other interesting ships laid up in Naples but the largest two – the Medmar overnight pair Donatella D’Abundo and Giulia D’Abundo – have now both gone for scrap. 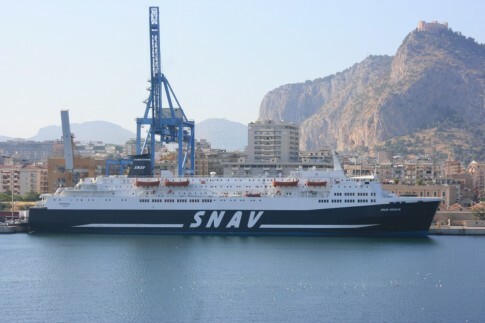 The SNAV Sicilia at Palermo. The most disappointing departures from Italian domestic service after 30 September were SNAV’s ex-North Sea Ferries pair SNAV Campania and Sicilia (ex-Norland and Norstar). Originally rumoured to have been sold for scrap, they are now both at anchor off Jeddah awaiting use, presumably as pilgrim ships for the Hajj in November, after which their futures remain unclear. The Iginia and Rosalia at Messina. 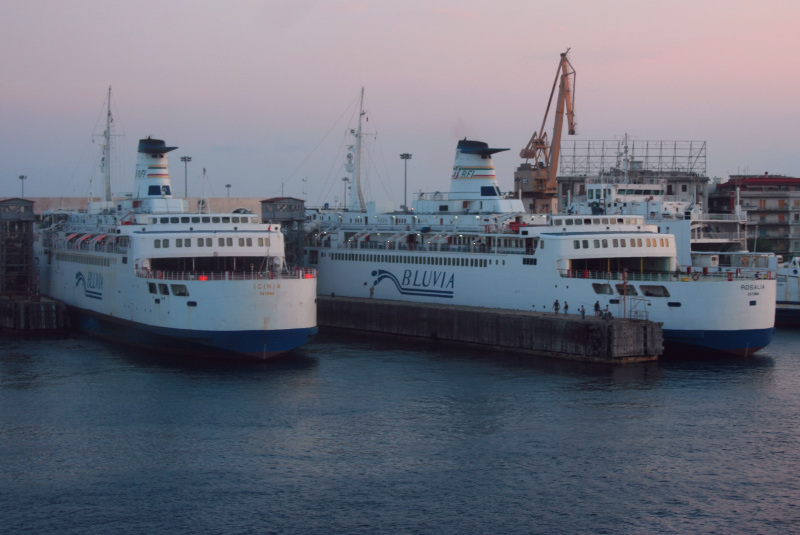 After the Sibari (1970) went for scrap last year, question marks hung over the remaining two classic train ferries on BluVia’s Messina-Villa San Giovanni route, the Iginia (1969) and Rosalia (1973). I travelled with the Rosalia in early September and she has clearly had a little bit of cash spent on her recently (although still retaining the faded glory look of all the ships on this route). Meanwhile the Iginia was to be found having some attention in dry dock in Messina so on this basis they seem secure for now. 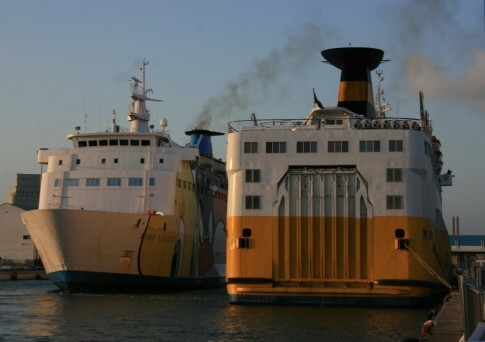 However the Logudoro, half-sister to the route’s more modern pair, the Villa and Scilla, remains laid up in Naples – if BluVia ever get around to instating her in Sicilian traffic, the lovely Iginia could be doomed. Just as the future of Tirrenia is unclear, so it is for their oldest ship, the Domiziana. A (relatively) unrebuilt member of the Strade Romana class she has been moved to the Southern Italian port of Crotone for disposal – scrap must be a real option although I would still bet on her being acquired by another operator looking for replacement tonnage. 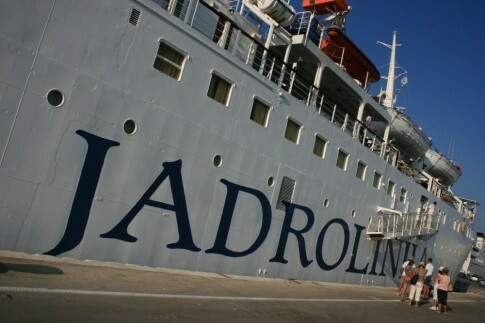 To the East of Italy the number of elderly ships under threat grows exponentially, first but not least with Jadrolinija. The Croatian national operator has, since the disposal of the Ivan Zajc in 2009, been reduced to four ships capable of realistic use on the coastal and international services. 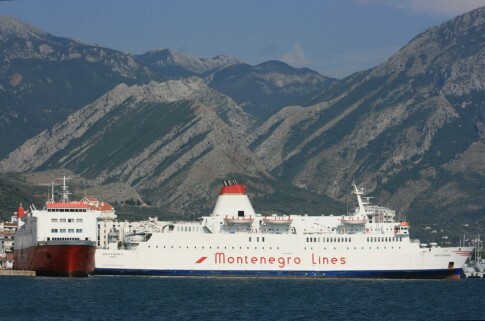 This has meant the Zadar operating Zadar-Ancona, the Dubrovnik on Split-Ancona, the Marko Polo the coastal service, Rijaka-Split-Stari Grad-Korcula-Dubrovnik and on to Bari in Italy, with the little Liburnija operating Korcula-Dubrovnik-Bari. 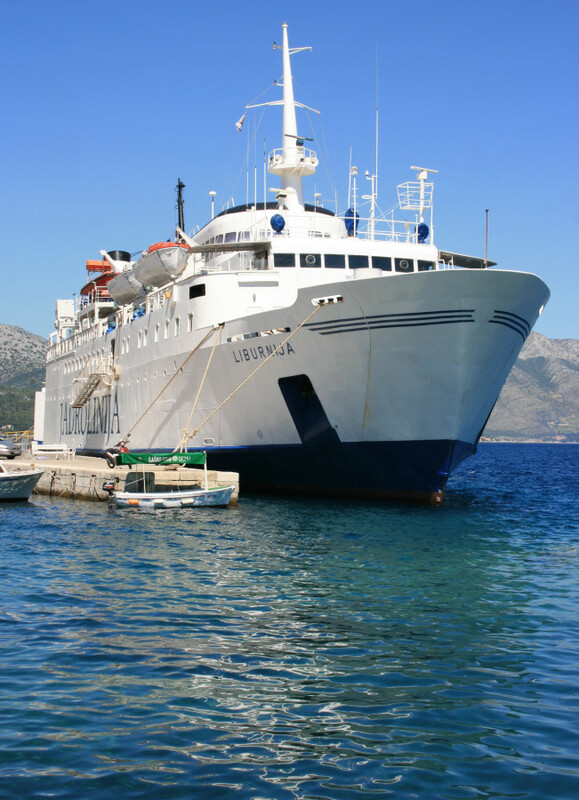 The Marko Polo will be upgraded over the Winter to meet the new safety requirements but it seems inevitable that the Liburnija will henceforth be restricted to domestic use – if anything. 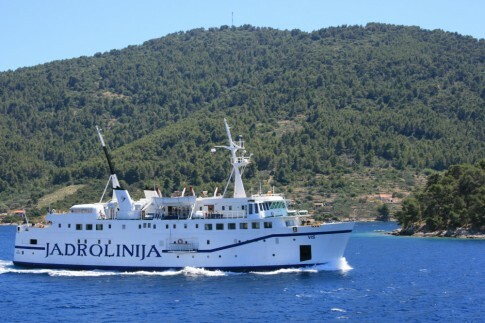 She was Jadrolinija’s first car ferry of any real size and ever since her introduction in 1965 has been lovingly looked after. Now quite antiquated one can only wonder if she will return in 2011 and, if so, what route a ship with cabin accommodation would be suitable for if not the coastal/international lines. The Vis leaving Vela Luca. Of the other Jadrolinija ships in service in 2010 the most interesting threatened vessel is the 1965-built Vis, originally the Sydfyn. She has been with Jadrolinija for 34 years now but the feeling amongst her crew was that this was her final year. Aliaga awaits. 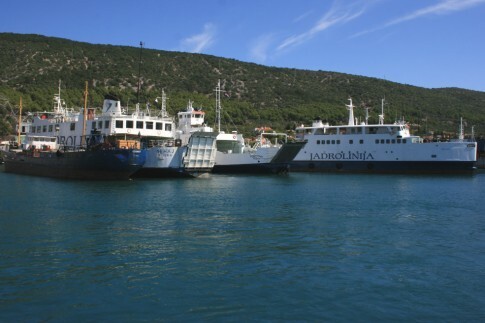 Jadrolinija's reserve fleet - Cres 2008. Whereas a couple of Jadrolinija ships have headed for scrap the majority of the coastal fleet, once no longer wanted, appear to be sent to lay up in various parts of the country. 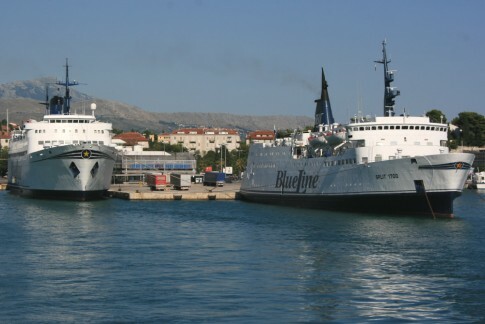 For example the onetime Red Funnel pair Lovrjenac (ex-Norris Castle) and Nehaj (ex-Cowes Castle) have been mouldering in Cres and Mali Losinj respectively for several years now. The picture above shows Cres in August 2008 with the Nehaj, Porozina (ex-Esefjord) and Bozava visible and, beyond, the Ero, Ozalj and Zigljen. The Porozina has since seen further service but the future of the remainder looks bleak, with the Bozava reportedly already gone. The Postira arriving at Dubrovnik, with the Thomson Spirit beyond. 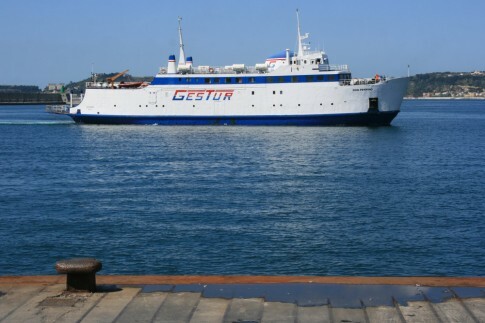 If the fate of many of Jadrolinija’s old car ferries is uncertain, what then of the four remaining classic passenger ships? The Postira, Premuda, Ozalj and Tijat all still had niche roles in various parts of the country in 2010 but there are grumblings in some areas about the service offered. Many of these ship’s sisters and contemporaries have found their way into static use so one would expect the same might apply when the service careers of these veterans finally come to an end. The Sveti Stefan and Sveti Stefan II at Bar. The Montenegro Lines fleet is in varying states of disrepair. 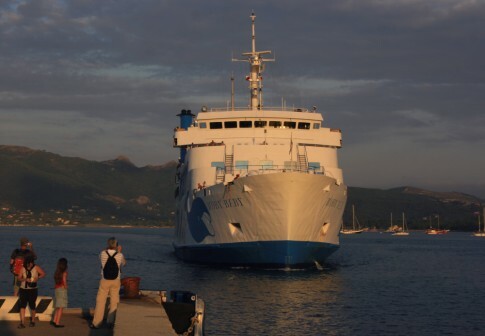 To all intents and purposes they are the only passenger sea line into the country so doubtless will carry on – but it would be nice if they could do something about the state of their ships, the Sveti Stefan II in particular. 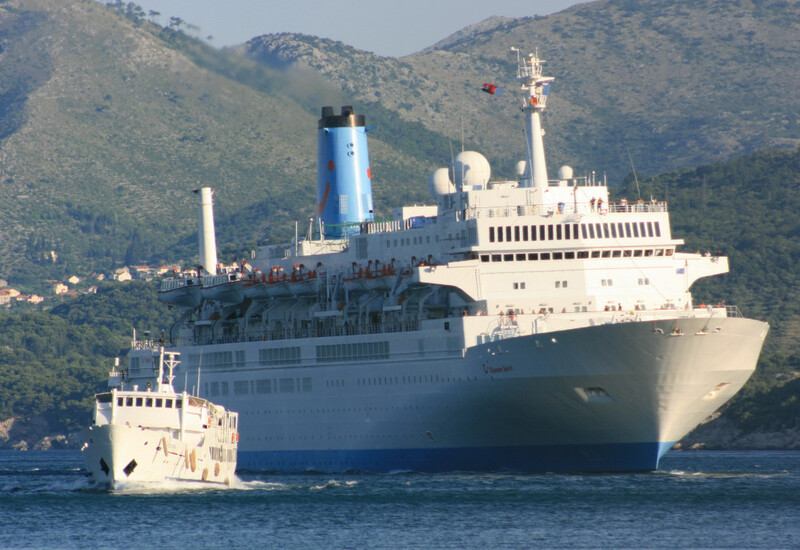 After seemingly disappearing for all of October, the latter ship returns to service at the start of November and is timetabled through to the end of the year. But what about her little red-hulled counterpart? 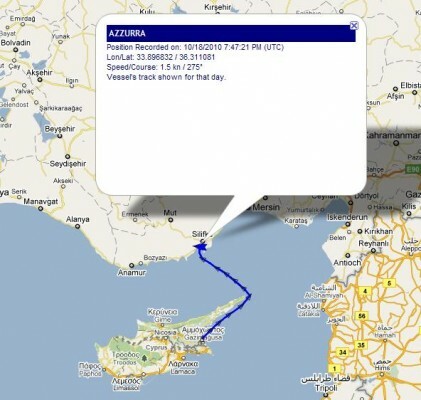 One doesn’t know what the Azzurra of Azzurra Line is up to at the best of times so perhaps the most recent AIS signal from the 1964-built ex-Grenaa shouldn’t be a surprise – she is not laid up near her normal Bari-based Adriatic home but is instead at Tasucu in Turkey, having previously paid a call into in Northern Cyprus. Has she entered service on the Tasucu-Gazimagusa route?! With her fleetmates all gone for scrap, the Arberia (ex-Bore Star, Orient Express, Wasa Queen) of Halkydon Shipping, for now, ploughs on alone between Bari and Durres in Albania. 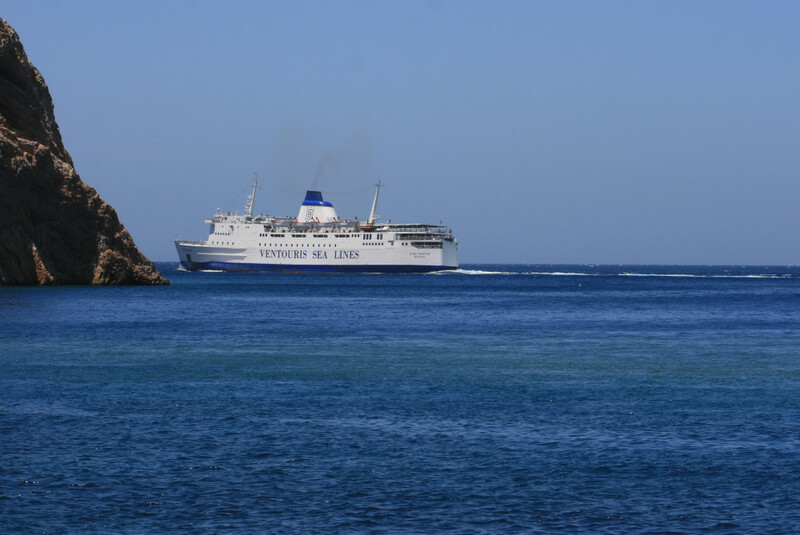 If Halkydon do complete their withdrawal from the passenger shipping business, this ferry will have to find new owners – going for scrap seems unlikely but in the current climate anything is possible. Perhaps Mr Munk of Sunlink Ferries will finally get his ship? 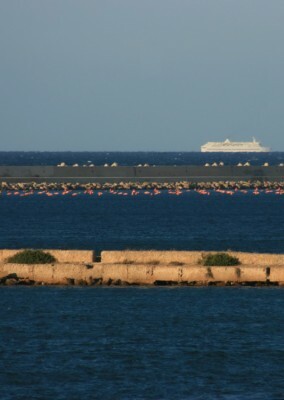 The Santa Maria I and Rigel at Bari. 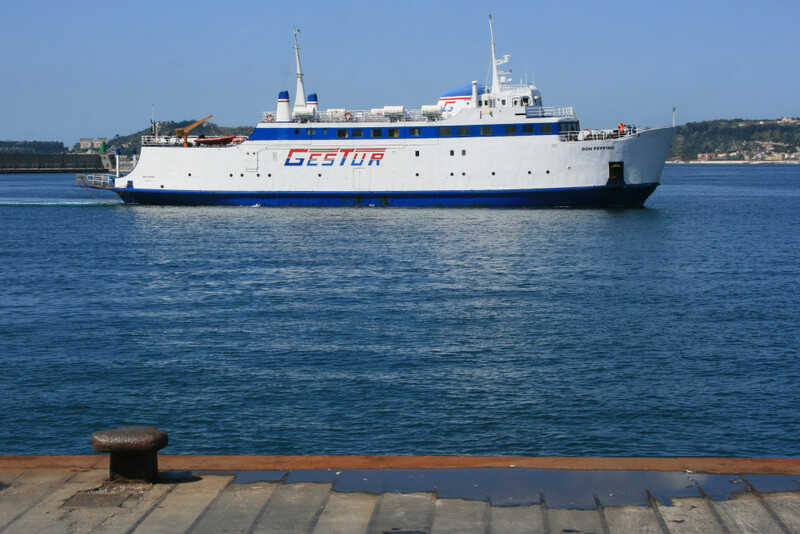 G Lines’ Santa Maria I (ex-Sansovino) seems to have found little success since first being tried on the competitive Bari-Durres service in 2008. Beset by machinery problems in her inital seasons, she has now retired once again to Drapetsona – will she ever see proper service again? 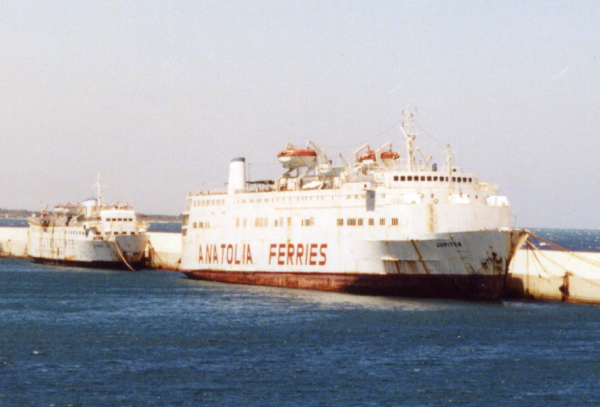 Alongside her in the picture above is Ventouris Ferries’ Rigel (ex-Bore I). This ship and her three quite elderly Adriatic fleetmates (average age – 35) seem set to continue to operate – the Polaris is presently having a not insignificant refit with her place, for now, being taken by Agoudimos’ Ionian King. 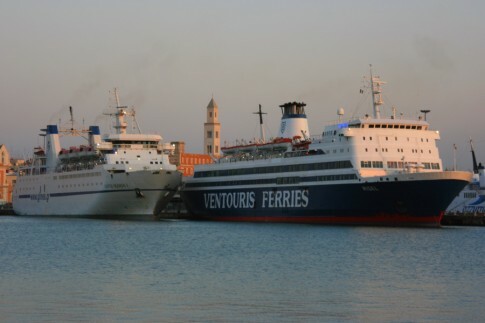 The Veronica Line and Red Star I together at Brindisi. 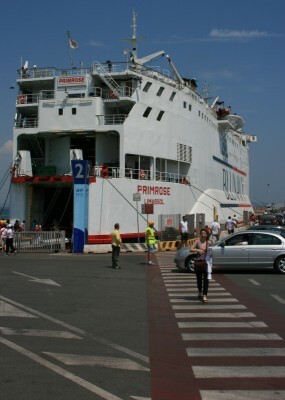 Brindisi and the Southern Albanian port of Vlore have been the last operational ports of call for a number of notable ferries, from Thoresen’s Viking I, through SNCF’s Transcontainer I to Sessan’s 1965-built Prinsessan DesirÃ©e. The route has in recent years been home to three further veterans, the Viking I’s sister, the Viking III of 1965 (now Red Star I), her ex-Townsend Thoresen fleetmate Free Enterprise V (1970, now Veronica Line) and Agoudimos’s sprightly youngster the Ionian Spirit (ex-Viking 3, Roslagen (1972)). The Veronica Line has again gone into hibernation for the Winter but the Red Star I and Ionian Spirit continue to sail. Whilst this route has a history of sudden disappearances the latter two seem quite secure for now. The Veronica Line may be a casualty of the Stockholm Agreement but there is every chance we won’t know about it until she fails to reappear for 2011. Now laid up in Igoumenitsa the Penelope (ex-European Gateway) appears simply to be bedding down for the Winter rather than anything else and there seems every likelihood this unusual ship will return for 2011. 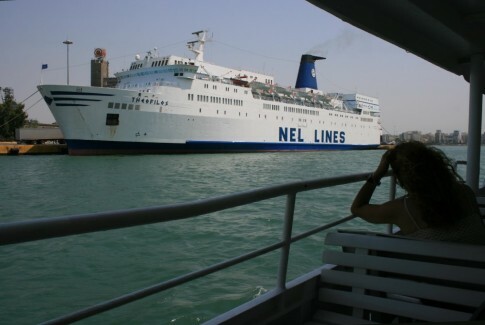 The Theofilos in white NEL livery at Piraeus, 2007. One of the most popular Greek ferries is the evergreen Theofilos of NEL Lines, which has sailed through the September SOLAS deadline and continues on an interesting Northern Aegean itinerary. The future is, however, cloudy for the former Nils Holgersson (1975) and one can only hope she will live to see another Greek Summer. The Ierapetra L approaching Piraeus. ANEK Lines have a series of ex-Japanese overnight ferries which are more than 30 years old deployed in domestic service: the Ierapetra L, Kriti I, Kriti II, Lissos, Lato and Prevelis. 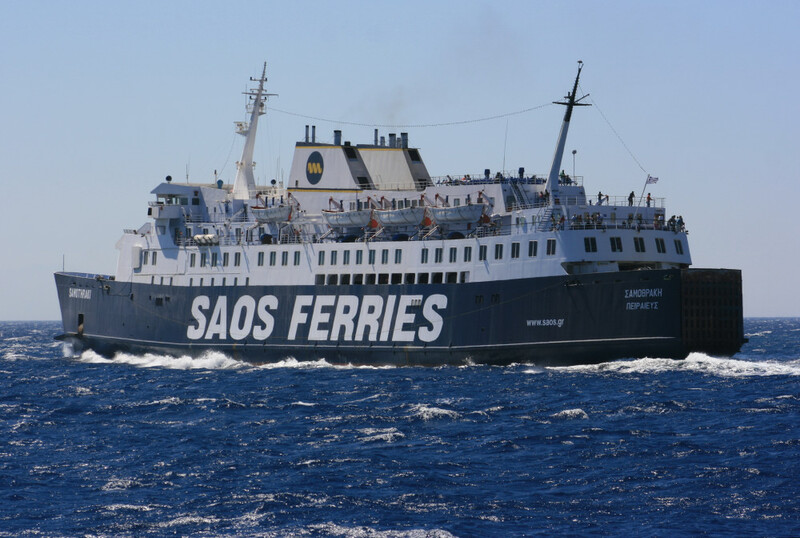 Although the Lissos is engaged in heavy competition with NEL on the route up to Chios and Mytilene, far from ANEK’s usual base, the remainder are in use on core or subsidised services and there is no imminent prospect of replacement. For now the elderly ANEKs seem safe. Not such a happy future awaits the laid-up fleets of GA Ferries and SAOS. 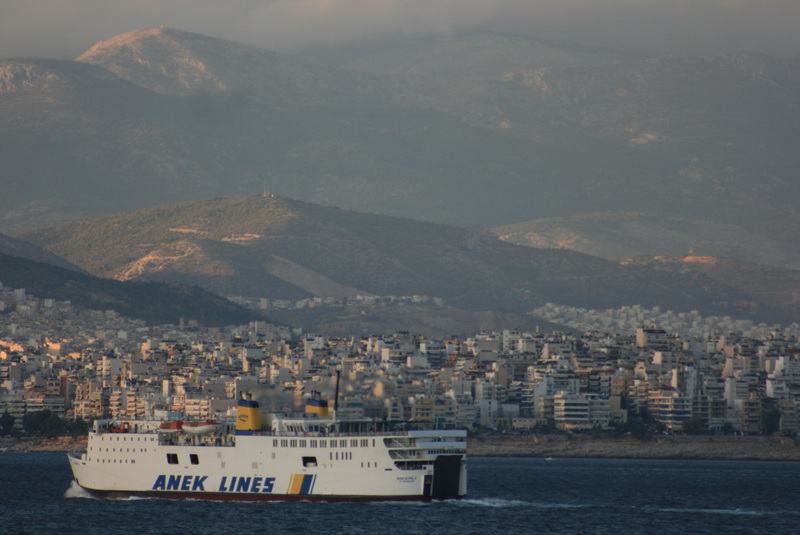 GA’s abandoned ships still dominate the Great Harbour in Piraeus whilst SAOS’s, including ex-British pair the Samothraki (Viking Voyager) and Panagia Soumela (Lady of Mann), are concentrated in Alexandropoulis in an increasingly decrepit state. It seems likely that the majority of these will head straight for scrap once the financial wrangling is finally concluded. The Samothraki leaving Chios in 2007. 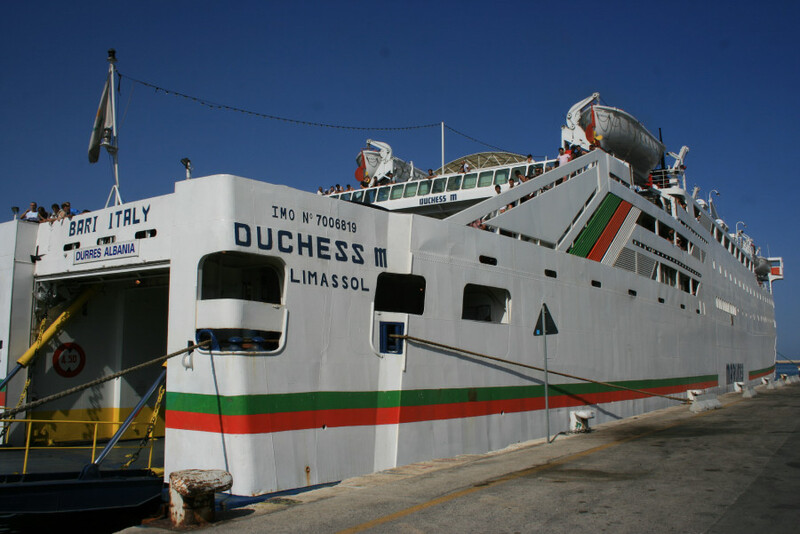 The Duchess M at Bari in August 2008. There are also dozens of ships laid up in the shipyards around Piraeus – many of which will never see service again. 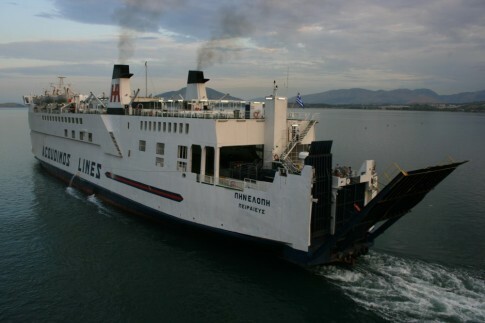 One such is the Duchess M of Marlines, originally the Wanaka and later Brittany Ferries’ Breizh-Izel. 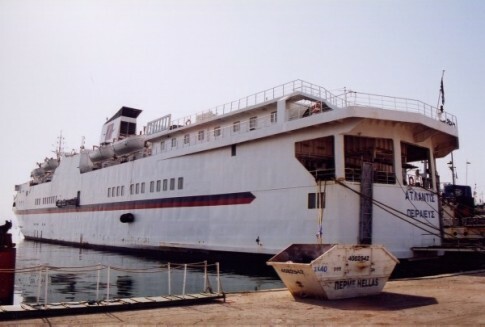 The final season of the final ship of the once glorious Marlines was 2008 and she has been laid up in Elefsis ever since. A one-way journey to the scrapyard is the only realistic result for this ship and so many of the others, including the Okeanis (ex-Free Enterprise) and the Alkyon (ex-Gotlandia). 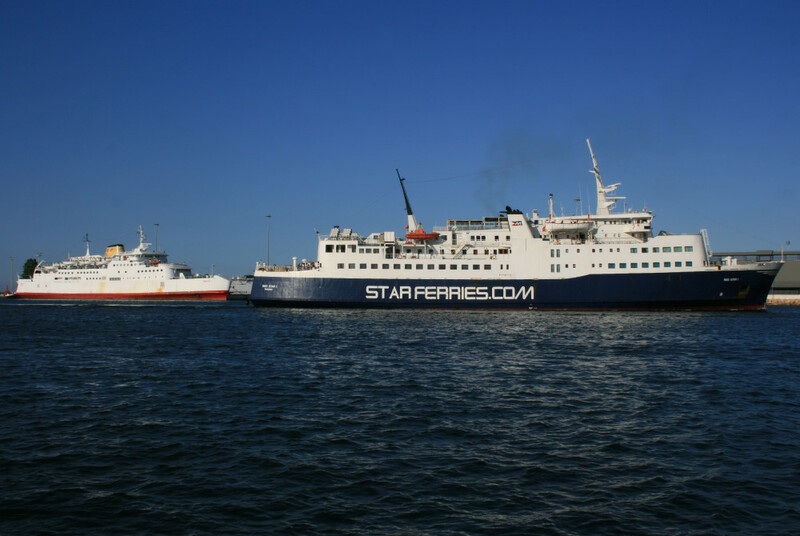 The Express Santorini (ex-Chartres) and the Scotia Prince (ex-Stena Olympica, top picture) have also arrived in the area recently – they are both now at Drapetsona. 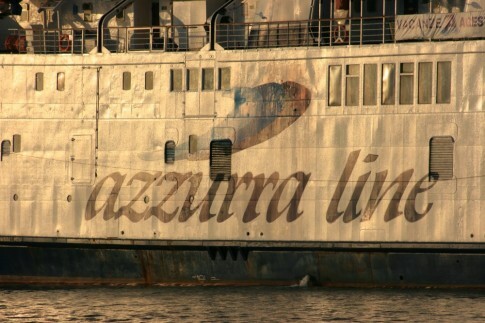 The former ship is scheduled to carry out relief sailings through the Winter and a further Summer on charter in the Azores apparently awaits in 2011. For the Scotia Prince the future has to be less certain – she had a heavy refit before the 2010 season which she spent on charter to Marmara Lines for service between Italy and Turkey. 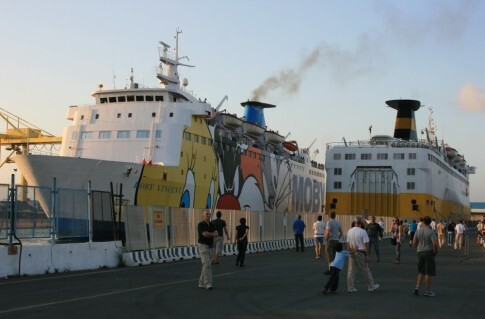 It would be great news if this was repeated, but will Marmara Lines be back for 2011? 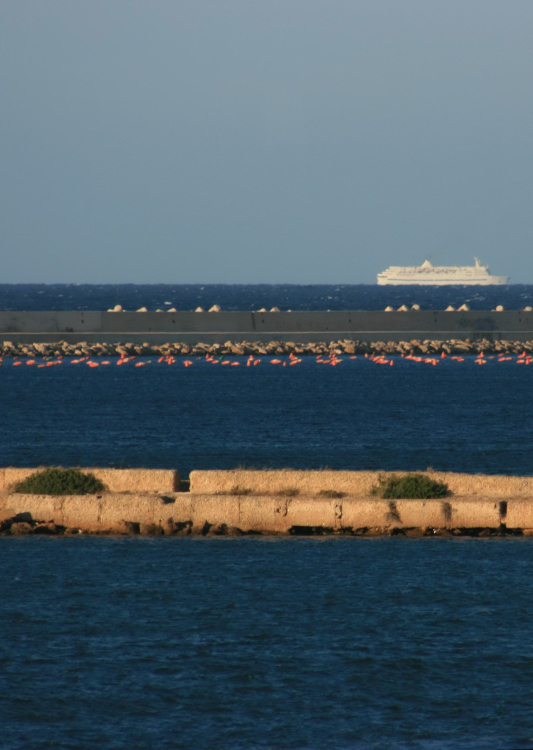 The Superferry II off Andros. 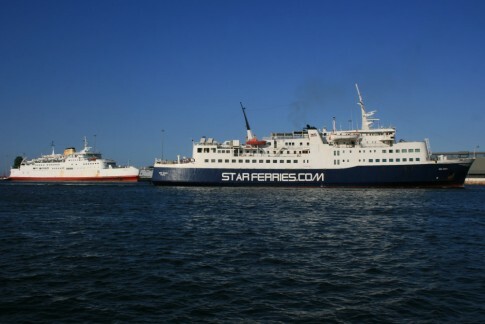 Although Blue Star Ferries have spent the money to repair her following her coming together with a pier in Tinos, the Superferry II is under threat from the new ships, Blue Star Delos and Blue Star Patmos, currently being built in Korea. The subsequent reshuffle of ships upon their delivery in will almost certainly see the end of the former Prince Laurent. 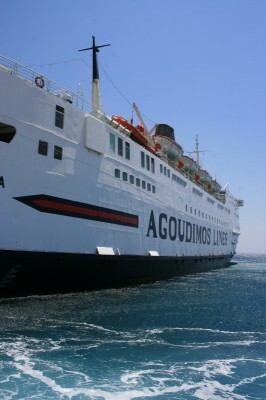 The Agios Georgios at Sifnos. 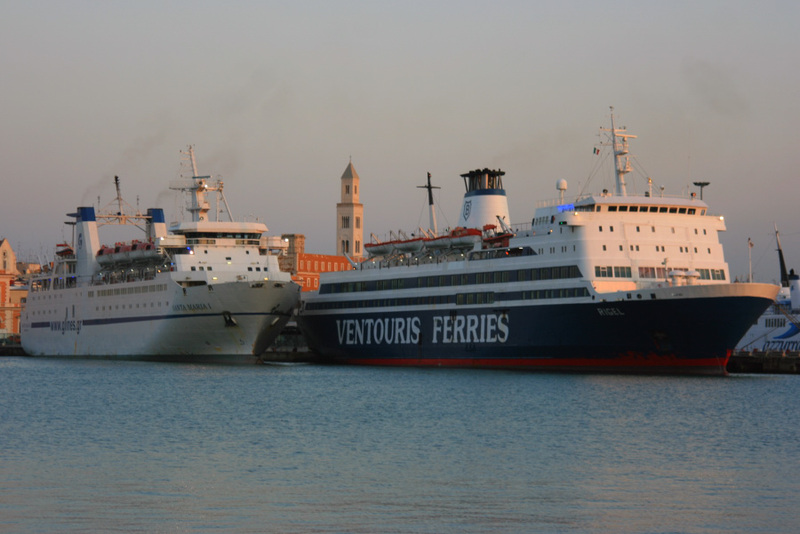 Lastly, are Ventouris Sea Lines’ Agios Georgios (ex-Hengist) and Agoudimos Lines’ Penelope A (ex-Horsa) under threat? Not just yet it seems and both have a Winter of Greek domestic sailing ahead of them. 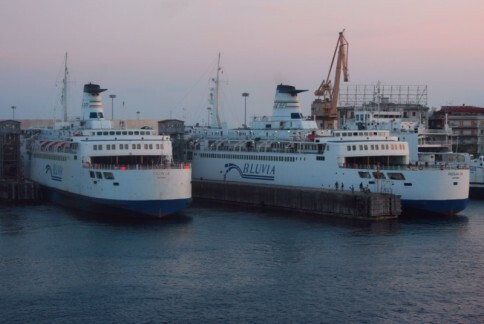 Sister ships at Livorno - two of the quartet of Rickmers-built Stena ships from 1974/75 together at Livorno, the mainland port from which the two vessels compete on daily sailings to Bastia - the Moby Vincent for Moby Lines and the Corsica Marina Seconda for Corsica Ferries.